An outspoken member of the Congress last week penned an op-ed calling for the federal government to lift its ban on cannabis. An outspoken member of the Congress last week penned an op-ed calling for the federal government to lift its ban on cannabis and to announce he had introduced legislation to begin the process. In the piece, Rep. Earl Blumenauer (D-Ore.) points out that increasing numbers of Americans are living in states in which recreational or medical cannabis has been legalized. Given this new reality, I am renewing my call for Congress to remove its outdated and harmful federal prohibition on marijuana. The congressman then pledges to introduce in the upcoming congress legislation – to be called the Regulate Marijuana Like Alcohol Act – that would remove cannabis from the list of substances banned under the Controlled Substances Act. The legislation would also place the enforcement of cannabis law under the jurisdiction of Bureau of Alcohol, Tobacco, Firearms and Explosives and out of the hands of the Drug Enforcement Administration. The bill would ultimately remove the federal government from each states’ approach to cannabis law, allowing them to set their own parameters and guidelines. For Rep. Blumenauer, the federal government’s responsibility to legalize cannabis is long overdue. It is past time for Congress to acknowledge that there has been a resounding shift in the way Americans think about marijuana, an science supports this shift. 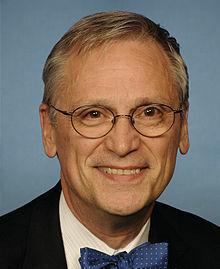 Rep. Blumenauer has been one of the most prominent public servants in the country to voice his support for an easing of the nation’s cannabis laws. As he points out in the op-ed, the congressman has introduced legislation in every Congress since 2013 that would do away with federal prohibitionist policies. He has also voiced concern about those who remain in prison despite the states in which they live having since softened their cannabis laws. He introduced a bill – titled the Clean Slate for Marijuana Offenses Act of 2015 – that sought to correct what he saw as grievous injustice. People who were caught up in the federal criminal justice system for a marijuana offense that was legal under state law at the time should not carry around a drug record. I support legalizing marijuana at the federal level to put a stop to any state-federal conflicts once and for all, but it is also important that we create pathways for expungement for those who should never have been charged in the first place. The congressman has also been supportive of reforming finance laws to allow cannabis businesses access to banking services, as well as an effort to replace the chief of the DEA. The likelihood that Rep. Blumenauer’s bill will become law appears bleak. A GOP-controlled House and Senate – not to mention President Trump – would need to sign off on the measure, which appears unlikely. Rep. Blumenauer remains optimistic, however, pointing out in his recent piece that the president-elect has voiced open-mindedness in the past when it comes to changing cannabis policy. I am hopeful that the new Congress and the new administration will support removing the federal ban on cannabis. Time and again, President-elect Donald Trump has said that marijuana legalization should be left for each state. My legislation does exactly that.